Maynard Art Show: This photo of Istanbul they got just right. It reveals such a vibrant and dynamic city – a hub of history and commerce. Founded in 660 BC as Byantium, it later became Constantinople, and served as the capital of the Roman, Byzantine, Latin and Ottoman Empires. Now it’s a large city with over 14 million inhabitants. 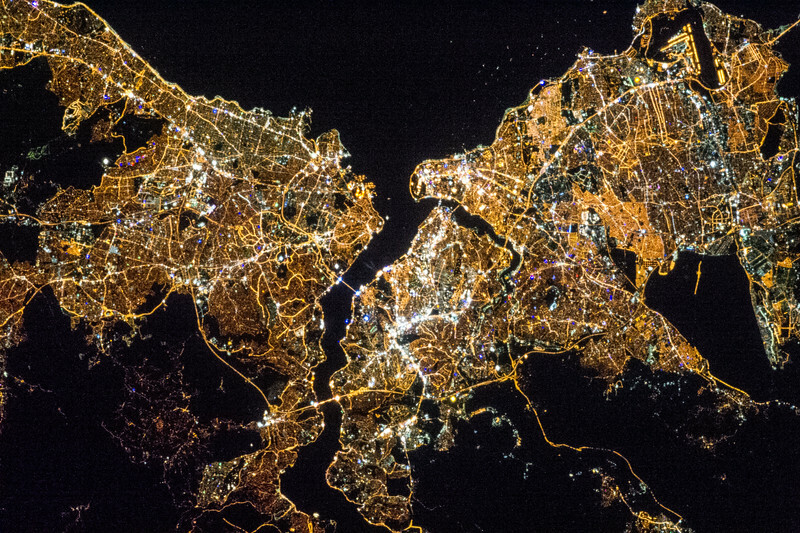 The Bosphorus Strait, in the middle of the image, marks the intersection of modern Europe and Asia. The diverse patterns of lights throughout the image reveal a city that has grown and changed over this rich history and blending of cultures.